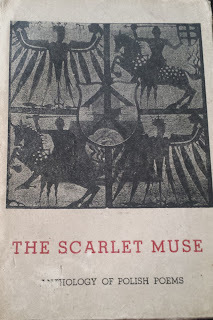 Thanks to the efforts of my nephew Tapan Ramchandran, I have received a copy of The Scarlet Muse, an anthology of Polish poems translated into English by Umadevi (Wanda Dynowska) and Harischandra Bhatt (my grandfather). 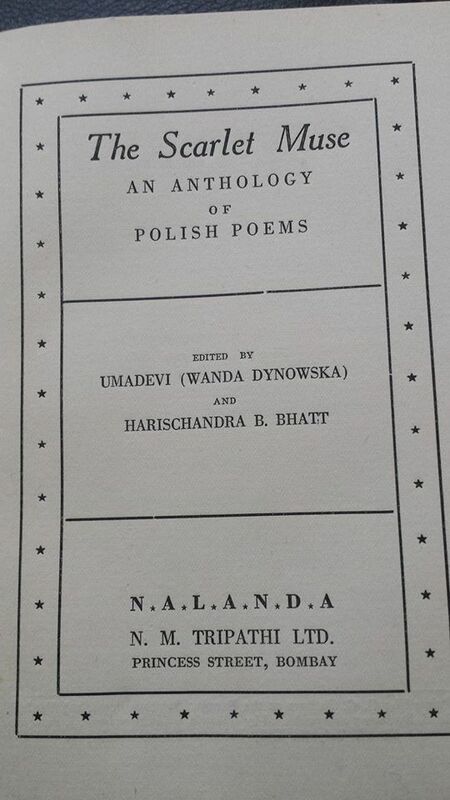 The anthology was published in 1944 by Nalanda Publishers (NM Tripathi Limited), Princess Street, Bombay. About a couple of years back, I had tried to get a copy of the anthology for Aleksandra Skiba is a librarian at Pomeranian Library (The Central Library of the West Pomeranian Province) in the Polish city of Szczecin. 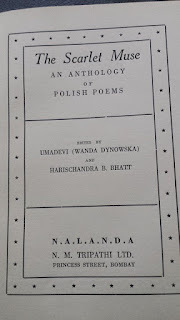 Skiba, the researcher and librarian, had done good work unearthing information about Harischandra and Umadevi available in Polish library archives. 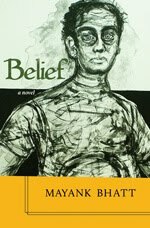 If you’re interested, you may read the earlier posts here: Rediscovering a poet. Poland is engulfed in a fresh bout of constitutional crisis. I’m reproducing two poems from the anthology from the World War II era, but have resonance even today. To strangle the beast as he creeps to his lair. Fighting and bleeding for Poland, for home! Let the mournful dirges no longer be heard. Here beats the great heart of Poland – intact! 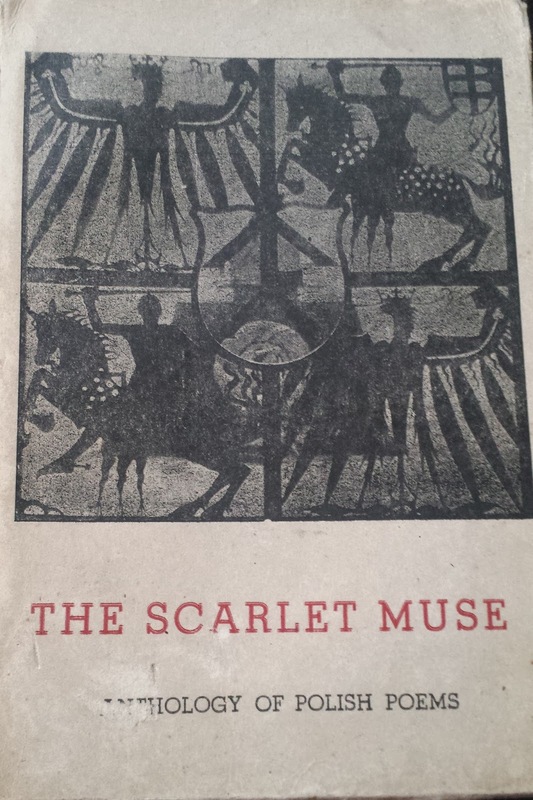 The other poem is The Muse Scarlet (perhaps the poem which gave the anthology its name). The poem is by Marian Hemar (1901-1972). When the anthology was published, Hemar, a Polish Jew, was alive and in exile in London, having escaped the clutches of the dreaded Gestapo. He could never return to Poland, because the Communist regime that ruled Poland after the end of the war. He died in England in 1972. O tower of Mountain of Light! Holy fortress of our Poets great. Burst the bowl of thy dew. To our dumb, silent lips. And pray thou for us. And from heaven come down. O poet, your hand to the standard!